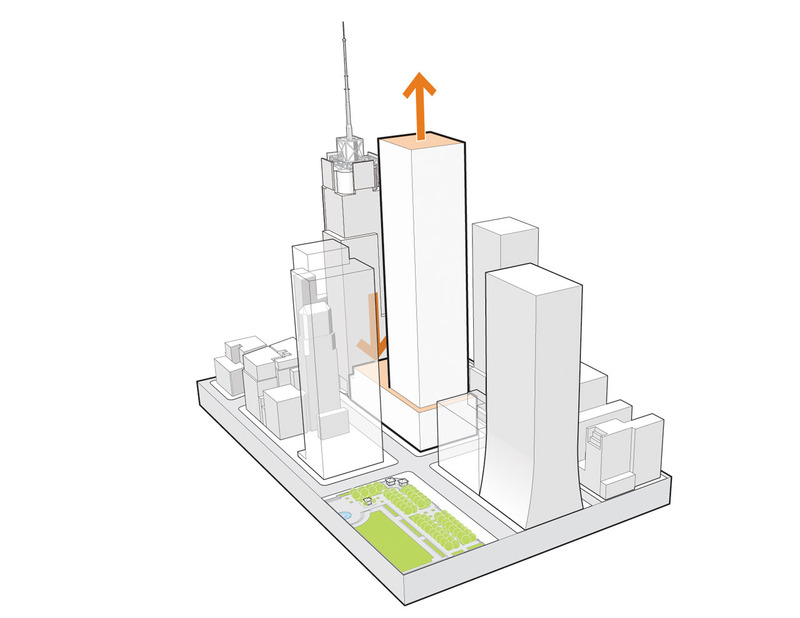 The first skyscraper in the United States to achieve LEED Platinum also utilized the principles of biophilia in its design, helping to bring the feeling of nature into the heart of New York City. 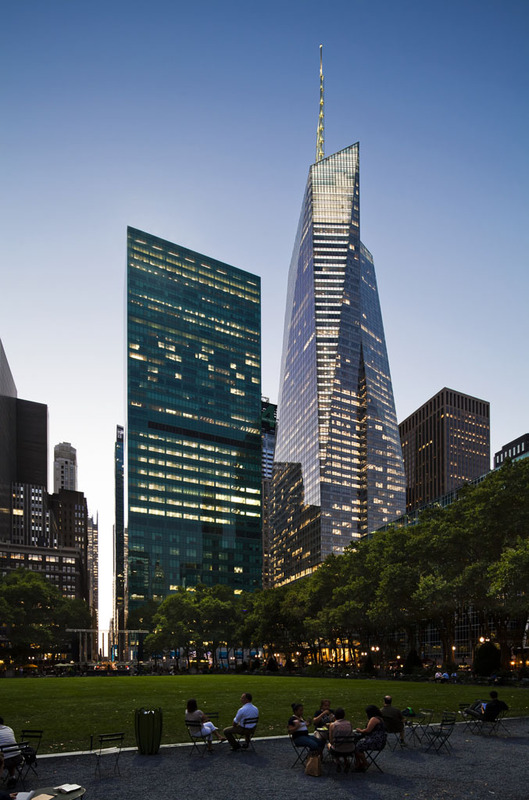 When One Bryant Park – also known as the Bank of America Tower – was completed in 2009, it became the second tallest structure in New York City (after the Empire State Building). 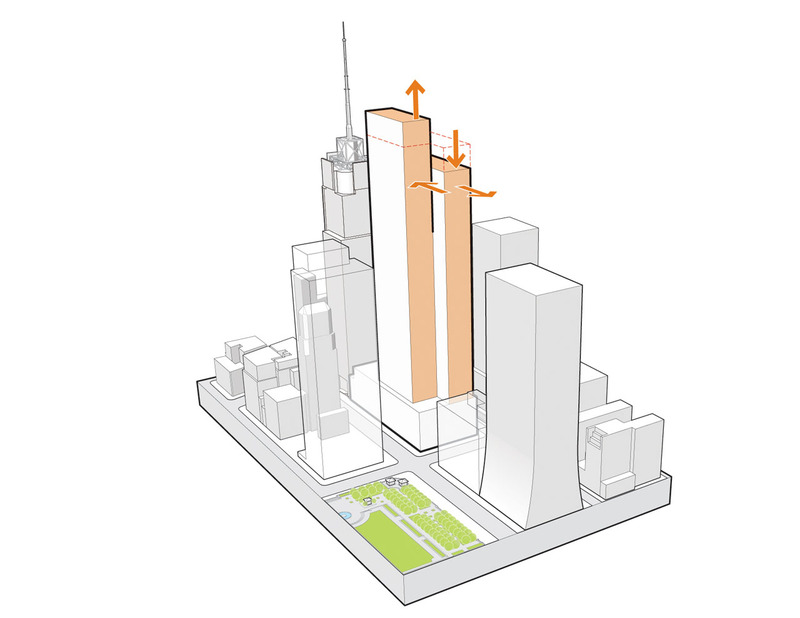 It was also the first skyscraper in the United States to achieve LEED Platinum certification. The list of its energy-efficient and environmentally friendly features is impressive and has been much discussed. The credentials of this building go even beyond that long list. 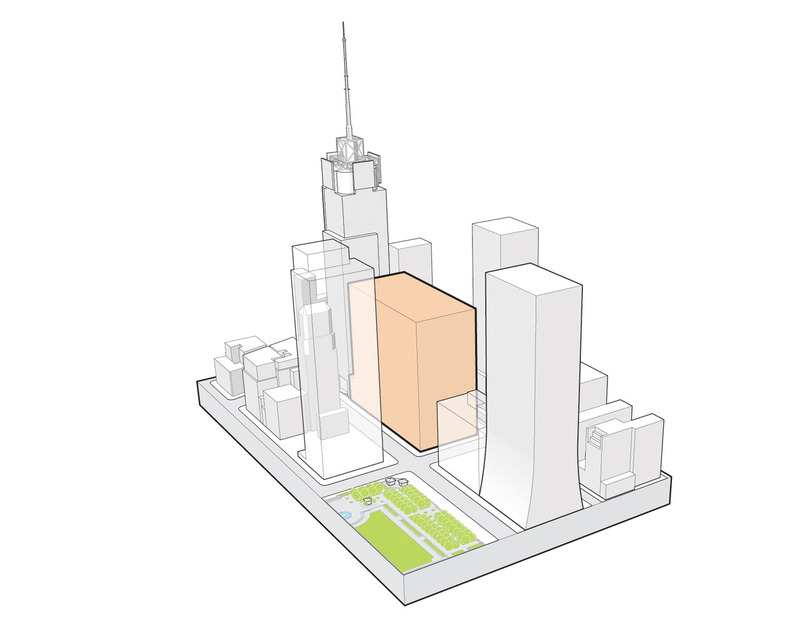 Buildipedia was curious to learn more about the other factors that drove the design of this 55-story Midtown skyscraper, prominently positioned at 42nd Street and Sixth Avenue at the northwest corner of Bryant Park, only one block from Times Square. 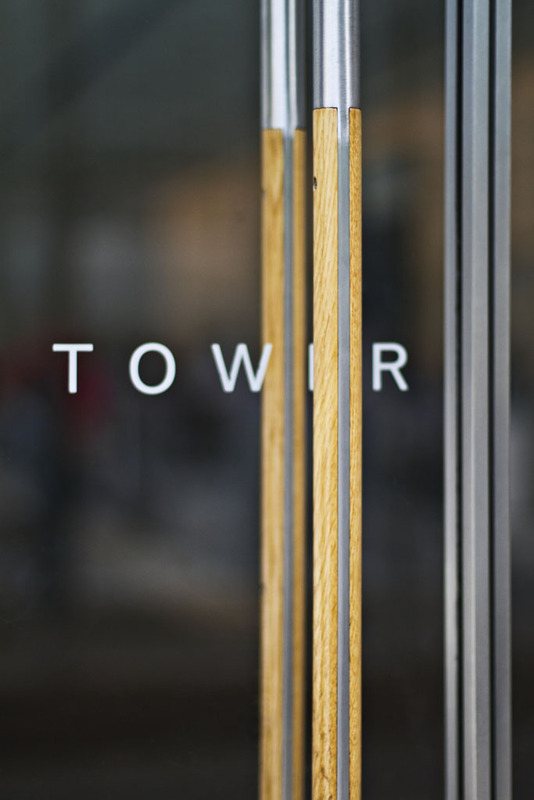 The designers, NYC-based Cook + Fox Architects, were happy to oblige, giving us the scoop on how they articulated the tower’s faceted form, established a connection with the urban fabric, selected finishes for the elegant lobby, and made the tower glow alongside the brightest fixtures of NYC’s skyline. 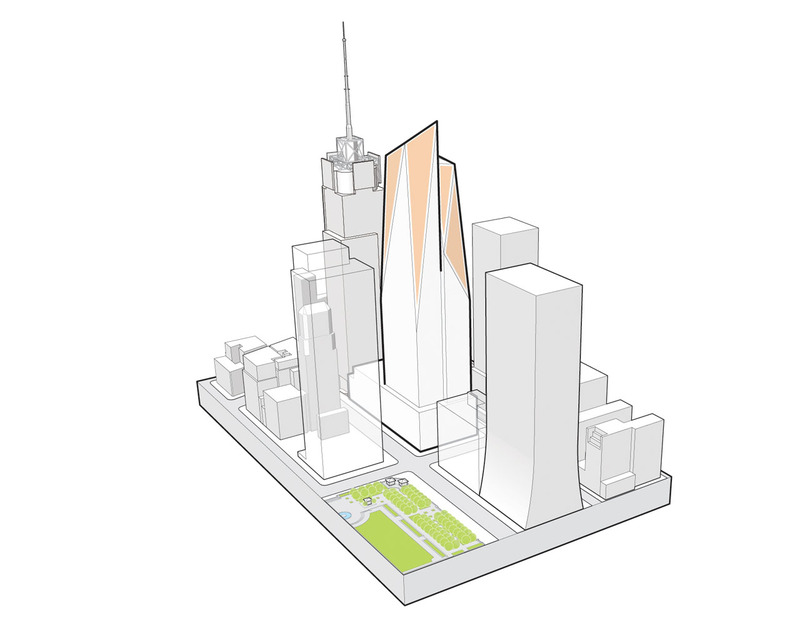 The Bank of America and the Durst Organization, the developer behind the project, requested an iconic, modern skyscraper. 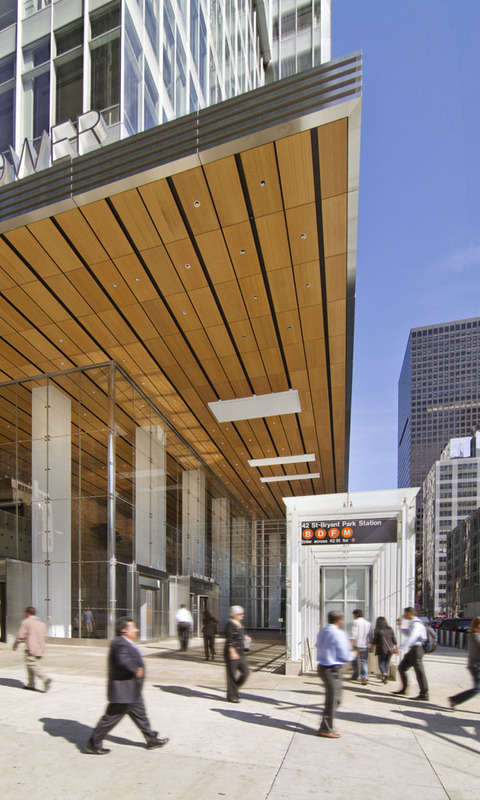 The best exterior cladding material to express a formal language befitting such a bank, according to Cook + Fox associate partner Serge Appel, was ultra-clear, low-iron glass. In articulating this transparent form, the designers found inspiration in the quartz crystal and the way in which light diffuses through its facets. 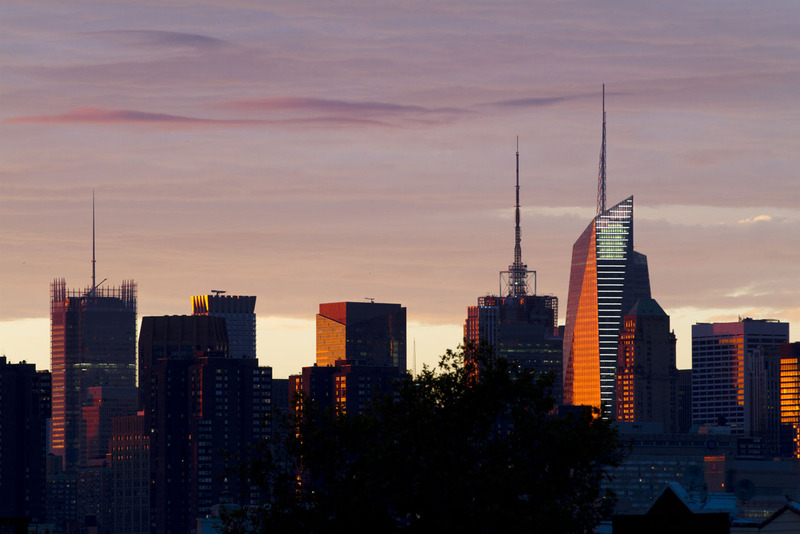 The tower’s angled walls – both in plan and section – maximize daylight and capture stunning city views from its interior, despite being surrounded by other tall towers oriented along Midtown Manhattan’s grid. 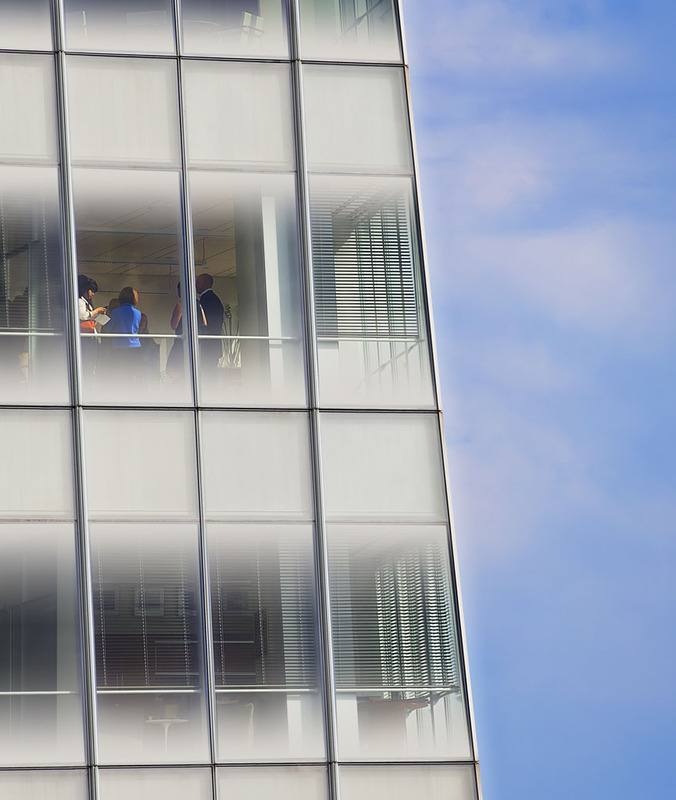 “The shape was driven by the way you experience the building from the inside looking out,” explains Appel. These angles also work in favor of the pedestrian. 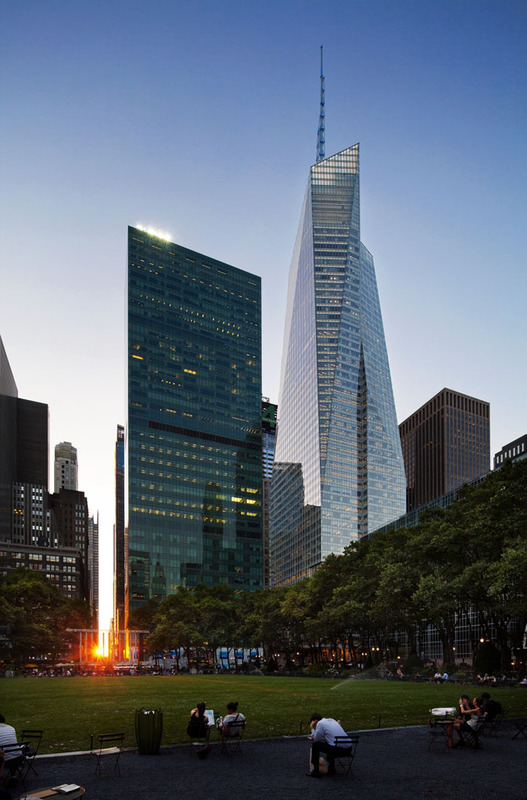 “When looking up, it often feels like skyscrapers are tilting over you, which is a little imposing,” notes Appel. Cook + Fox Architects employed a perspectival technique similar to one used by the ancient Greeks to make the tower appear straighter from the ground. 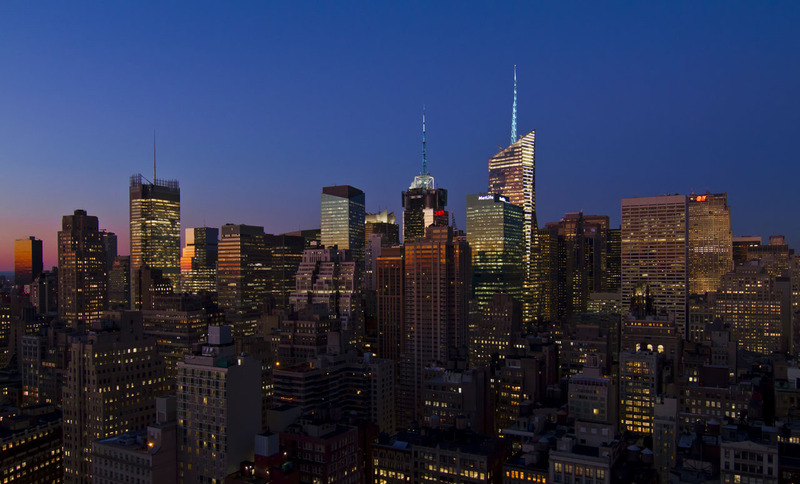 The architects also drew inspiration from other works of art, including the neon sculptures by Dan Flavin, the painting “Manhattan II” by Lyonel Feininger, and a 1922 Hugh Ferriss drawing. 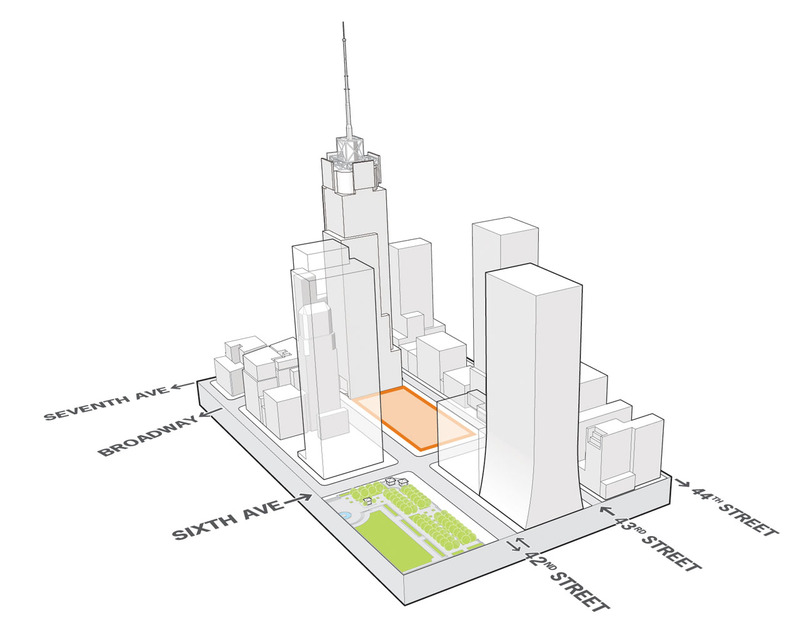 From an urban perspective, the tower makes several civic gestures to mitigate pedestrian traffic flow and provide public spaces that augment those of the adjacent Bryant Park. The sidewalk depth was increased by several feet to help with density, and two subway stairs were combined into one sleek new entry. A pedestrian passage was inserted into the building mid-block, called Anita’s Way. Cook + Fox Architects designed a 3,500 sq. ft. Urban Garden room at the corner that acts as a "front porch" for the building, containing tables, chairs, and sculptures. This glassed-in, conditioned space offers protection from the elements but can be opened onto the sidewalk via five giant glass garage doors in nicer weather. 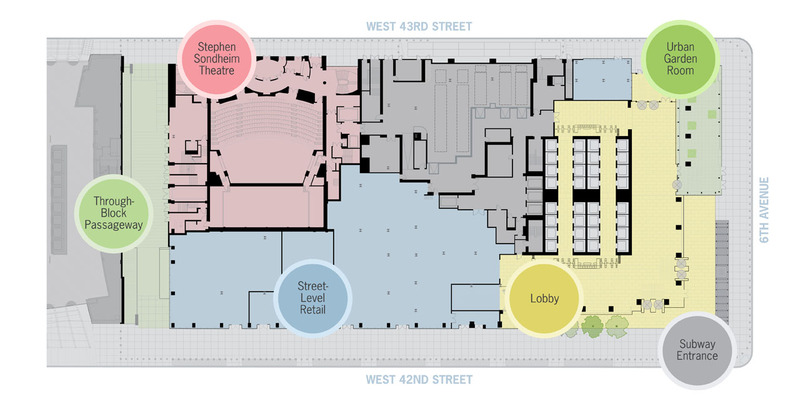 The lobby is divided into two distinct areas – the L-shaped public portion wraps the corner and features soaring, 38' ceilings, and the more private elevator lobby is shielded behind the tower’s core walls. 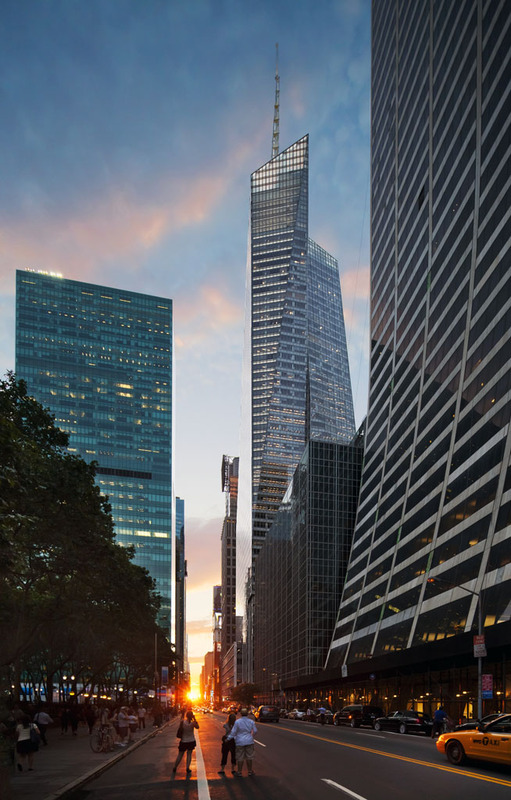 “Everything in this building is about the corner, every detail is about reinforcing the corner; it’s called One Bryant Park for a reason – it’s about the park,” explains Appel. Within this public space, the materials are cold (stone, metal, glass) and establish a direct connection to the sidewalk. However, there are a few warmer touches. Cook + Fox Architects incorporated elements of biophilia into the lobby design. Biophilia is based upon a scientific hypothesis that “people feel good when they feel connected to nature,” according to Cook + Fox founding partner Richard Cook. 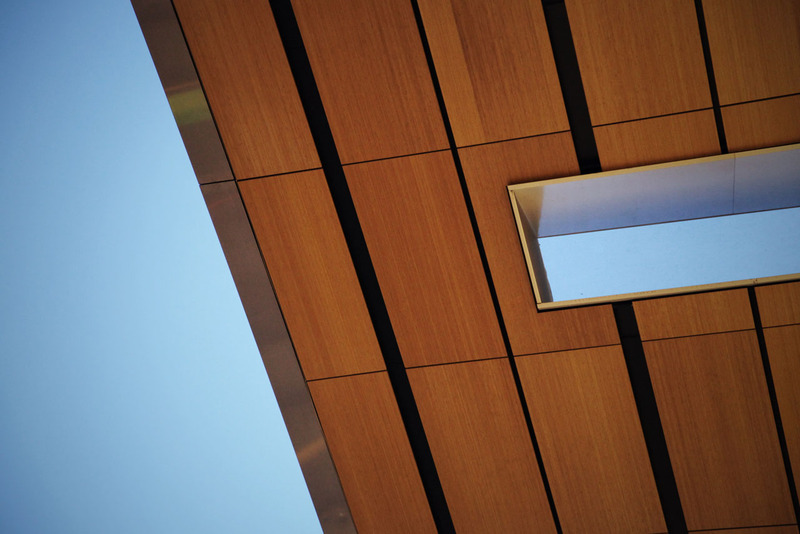 Visitors’ first contact with the building involves touching the door handles, so these are made from warm wood as opposed to the cold aluminum or stainless steel typical for a Midtown office tower. Also, the underside of the entrance canopy and lobby ceiling is lined with wide bamboo planks. 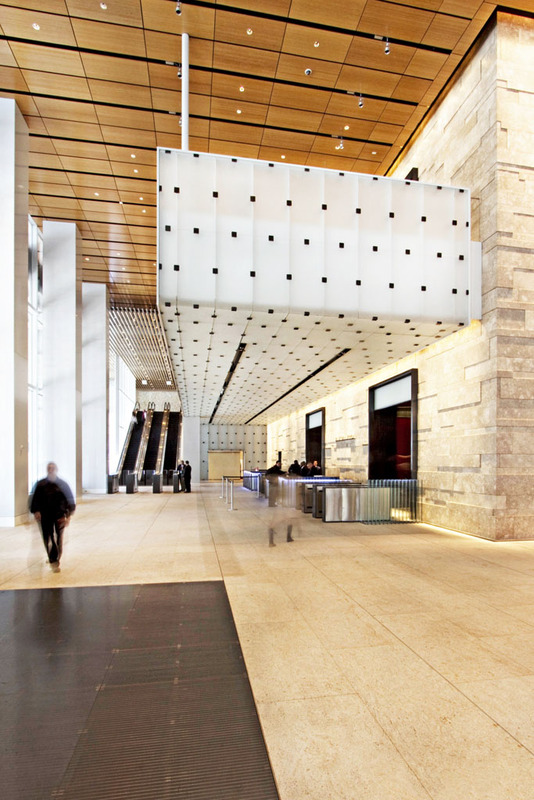 The focal point of the lobby is the exterior of the core wall, which is clad in beige Jerusalem stone – the actual limestone used to build the biblical city. The architects picked the material in part because of this historical reference, but more so because it has a high fossil content that is visible in its surface. According to Appel, “This reminds people that it is an organic material, and not manufactured.” No two stones measure the same width, depth, or height, and the architects staggered them to create a surface pattern with shadow play that changes throughout the day. “We wanted the wall to be an art piece,” says Appel. 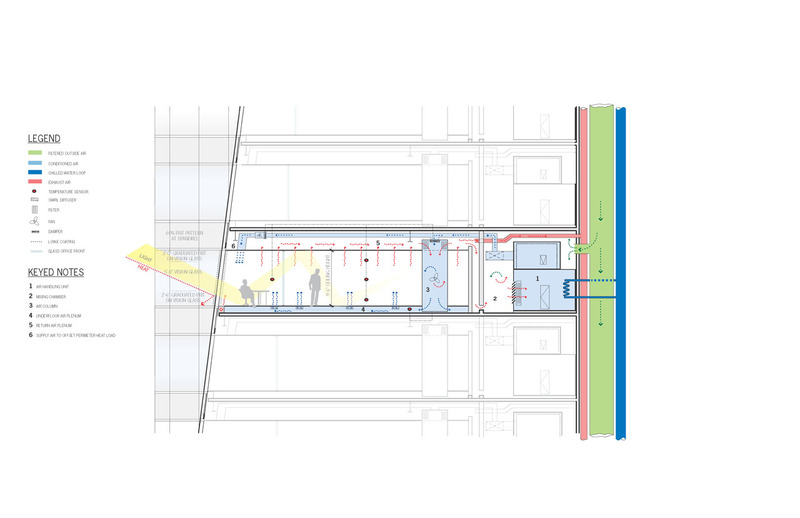 Beyond the stone wall is the elevator lobby, a more intimate space where the ceiling drops to 12'. The walls are covered in rich leather tiles wrapped in statuary stainless steel frames that will oxidize over time, gaining a rich patina. 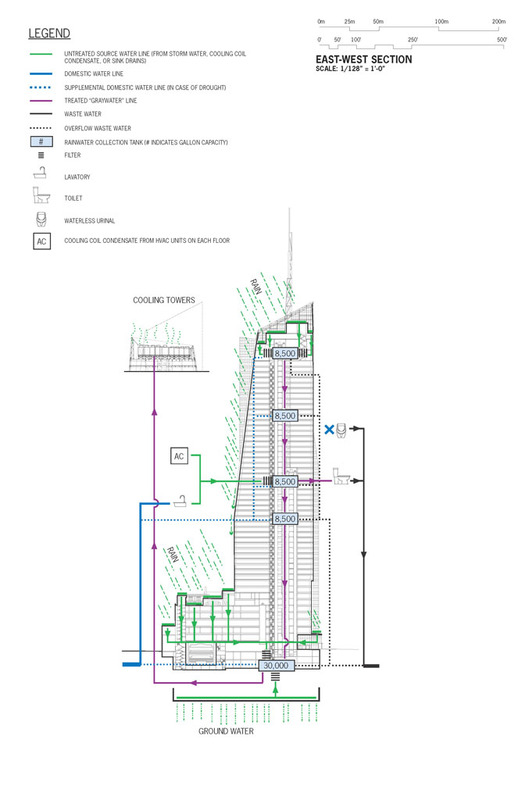 The tower’s lighting scheme, developed in association with Cline Bettridge Bernstein Lighting Design, involves a combination of fixture types (no incandescents, of course. 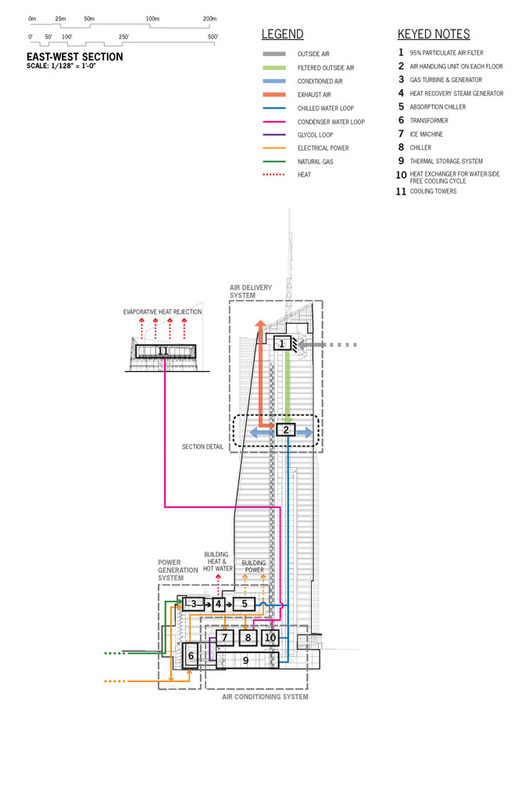 )The interior glows a consistent, warm temperature throughout the tower’s full height. The design team devised creative solutions to maintain this uniform look, even on mechanical floors and along the parapet’s tall screen walls. 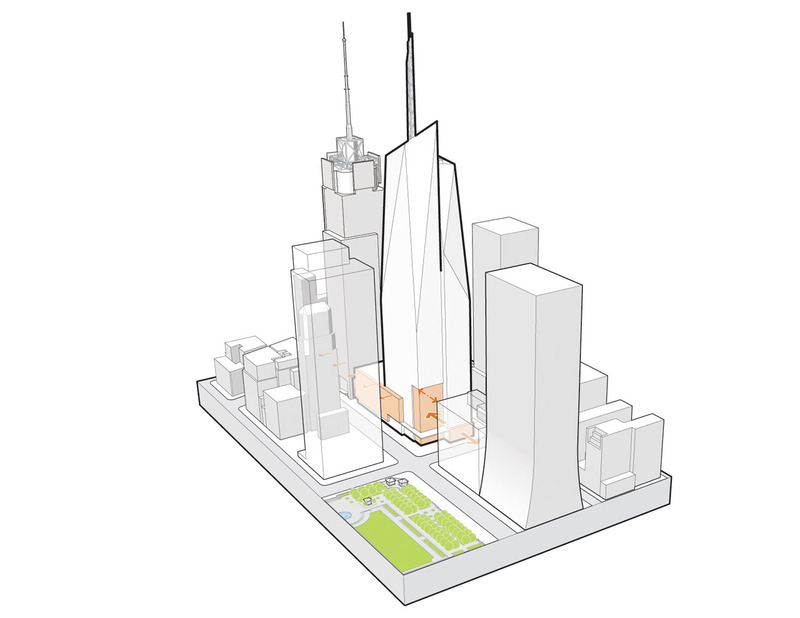 The designers chose to highlight the main facade of the tower overlooking the park. “It’s hard to light glass – you can throw tons of light at it, and it goes right through it,” explains Appel. 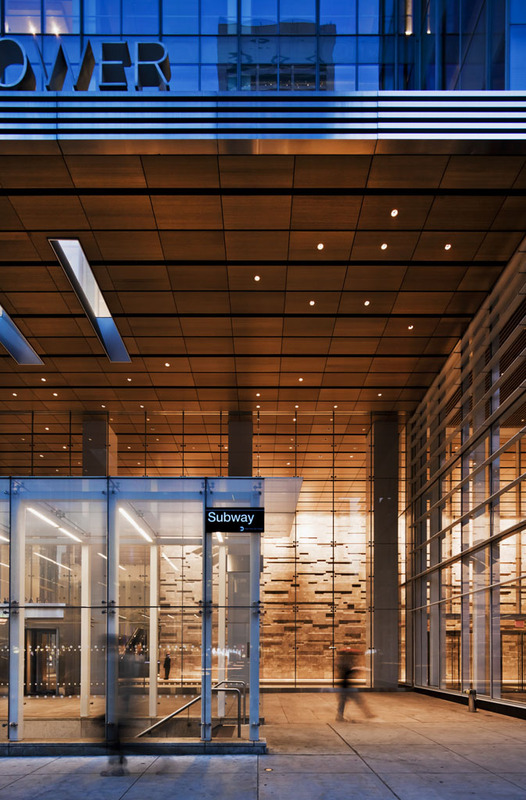 To create a glow, they articulated a double curtain wall that is four feet deep, and then lit this cavity with a horizontal system of LED strips that cast a bluish-white light, contrasting against the interior lighting. 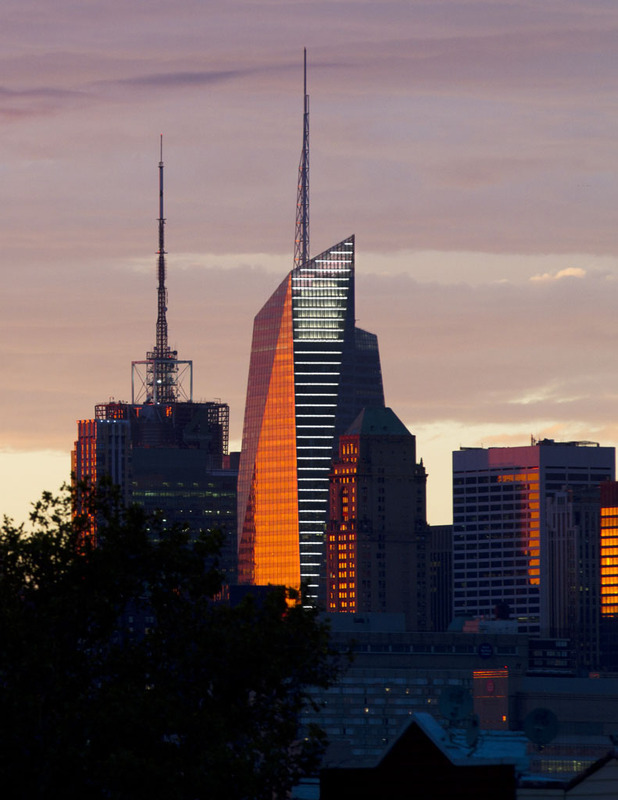 The building’s spire is lit with color-changing LEDs, securing its status as the most eye-catching new addition to Midtown’s skyline. An important part of green design is to enhance user experience. 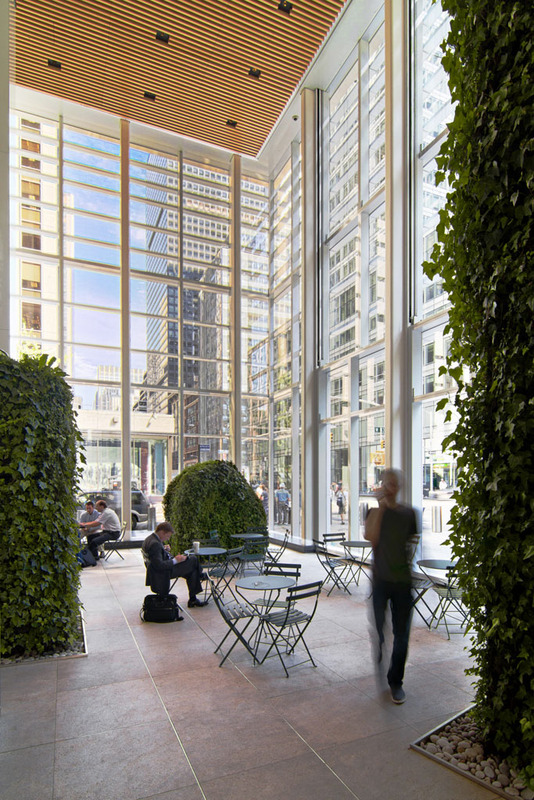 By employing the principles of biophilia, the designers of One Bryant Park have ensured a user experience that is gratifying at a profound level. Murrye is a freelance writer based in New York City. She holds a Bachelor's degree in Architecture from the University of Arkansas and is a LEED-accredited professional. Her work has been published in Architectural Record, Eco-Structure, and Architectural Lighting, among others. She also serves as a contributing editor for the American Institute of Architects' New York Chapter publication, eOculus.